From Brownies to Cadets, schools to WI ladies; we’re all about the group activities at Crafty Monkey! If you’re looking for some arty activities to inject something a little different into your session meetings, then why not give us a call to discuss what we can offer you? You can book a session to bring your gang along to the studio or if transport is an issue- we can come along, bearing all manner of arty bits, to your venue! We can have a chat about your requirements on the phone; we’re flexible yet full of ideas, meaning that you can either arrange to set a budget to let folk paint items of their choosing or you can opt to have everybody paint the same items and include a theme. If your intention is to tailor your visit to work alongside the curriculum or an award/badge- then we are more than happy to chat with you and decide upon an appropriate focus for your session. 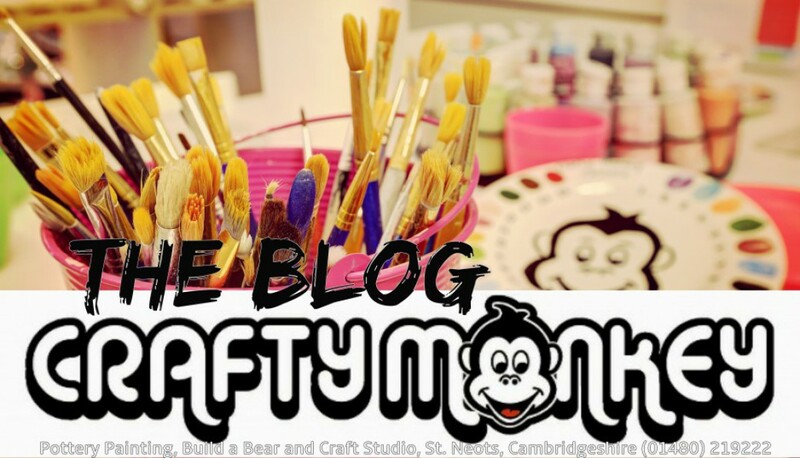 Remember that it’s not just pottery painting at Crafty Monkey– we also offer a range of other crafty activities including decoupage, foam clay and Build a Bear– so there’s something for everyone. We can also open out of hours for groups (minimum number of participants apply). Have a good rummage on our website and facebook page for inspiration as the possibilities for your group projects are virtually limitless! « Decoupage- Another Crafty Activity!